When I was trying to think of which gin to restart the blog off with on World Gin Day 2018, I thought what better than one from the other side of the world. 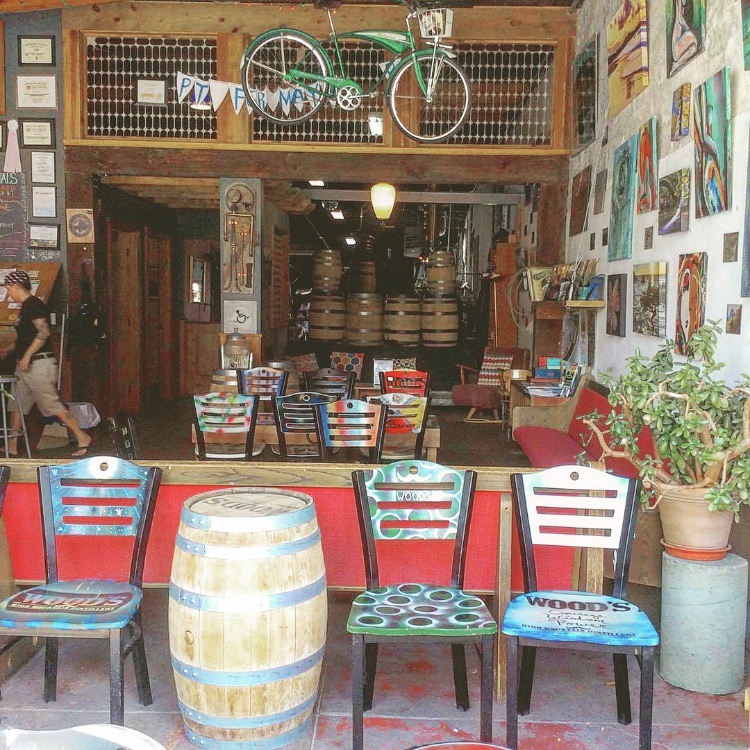 Situated in the beautiful mountain town of Salida, Colorado USA is the Wood's High Mountain Distillery. When my Mum went to visit some very close friends who live in Colorado. I sent her on a mission to bring me back a bottle of local gin and she did not disappoint, bringing back a bottle of Wood's Treeline Gin! The distillery was founded by brothers P.T. and Lee Wood, who became inspired to start distilling whiskey and other spirits while on a boating trip in the Grand Canyon. Using an antique German still built in the 1880's which had been sitting around for 50 years. They found their ideal building, renovated it and their dream became a reality when their distillery and tasting room opening in November 2012. Using juniper grown in the Rocky Mountains in Colorado, this gin is fresh, crisp and very refreshing gin, and I feel very lucky to have my hands on a bottle. 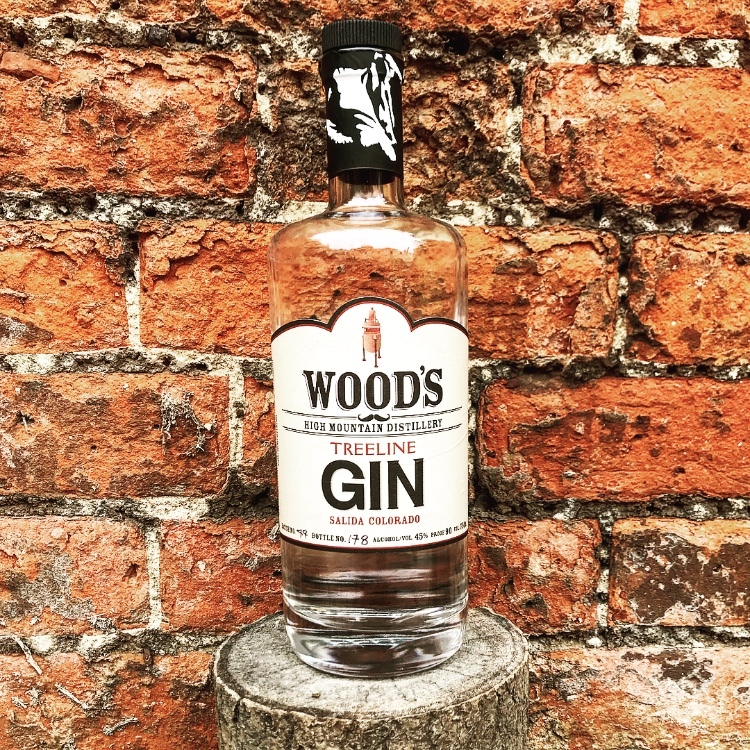 Wood's also have 2 other gins, Treeline Barrel Rested Gin and Mountain Hopped Gin. I think i'm just going to have go and try them for myself! What did you do before creating Woods High Mountain Distillery? I moved to Salida in the late 80's to be a river guide, in 1995 I started with Wave Sport Kayak as a regional sales rep which I did until 2002 when I bought Moonlight Pizza after that I was building houses up until we started the distillery. What is it like working together as brothers? It's great, we have owned a number of businesses together over the years and it just seems the natural thing to do. Lee brings a rock solid business acumen and I bring vision and problem solving skills. We both bring a passion for quality spirits. Tell us a little bit about what a day in a life at Woods High Mountain Distillery is like? It usually starts super early at home with a cup of coffee and answering emails and surveying the industry news. Once I get to the shop, we'll get things fired up and start mashing, distilling or whatever maintenance is on the schedule. If I'm lucky it is a day when I pick barrels for harvest, blend gin, or work on a new cocktail. Probably the vast majority of my time is spent doing pretty mundane business stuff. I do try and get out skiing, paddling or on a bike ride 3 or 4 mornings a week as well. Is there a story behind why you call your gin "Treeline Gin"? We live in the Arkansas river valley in the shadow of 15 fourteen thousand foot peaks that provide our water and our playground. Since I spend a fair amount of my time at treeline and our gin is bright and fresh like things are at that altitude (about 11,500 feet here) it seemed appropriate. How do you like to enjoy Wood's Treeline Gin? Depends but two of my favorites are a simple gimlet - lime juice, turbinado simple syrup and Treeline gin or a martini with the Bianco Vermouth, our buddies at Vino Salida make and a lemon twist, truly sublime! My buddies up at Port Chilkoot Distillery in Haines Alaska make 50 Fathoms gin that is well balanced and just a treat to drink. I am always searching out unique small batch gins, I love it when folk do something unexpected. What’s next for Wood's High Mountain Distillery? One of the most exciting things we are doing is our Blue Yonder Gin, we are working the one really unique botanical, once it is approved with the FDA, we will roll that out. It is a beautiful soft floral gin with a really cool color trick it does.